Free Case Study: Learn how five high-profile corporations improved their STP, the relationship with their service users and reduced bank fees. Processing payments seamlessly is a priority for corporate businesses, with many keen to focus on improving straight-through processing (STP), saving time and reducing bank fees and charges. 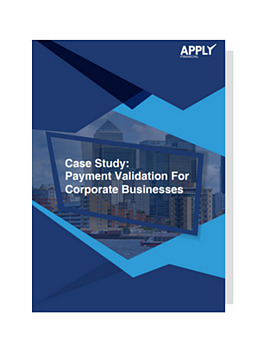 Apply Financial surveyed five corporate customers to find out how easy it was to implement and deploy a Payment Validation API, as well as the results they’ve achieved. ensure that payments are reaching the right recipients, on time, every time.